Placed in service since 2005, with an area of 4600 m2, the work was completed in record time. 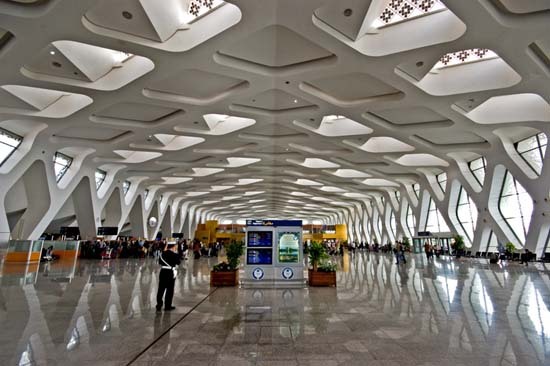 Marrakech Menara Airport is currently the second largest in Morocco after the Casablanca, in terms of traffic, with 3.7 million passengers per year. Marrakech-Menara has two terminals. The first was completely renovated in June 2008, it is partially powered by solar energy. The second, meanwhile, has been operational since 2005, while opening a third terminal is planned for 2012 to pass the Cape of 8 million passengers per year. 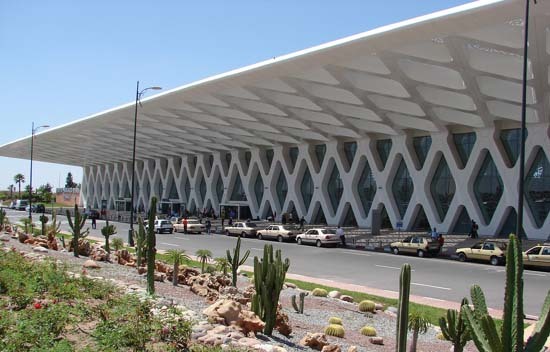 Located 3 km from downtown, the airport of Marrakech-Menara Airport is the second Moroccan in terms of traffic after Mohammed V in Casablanca. 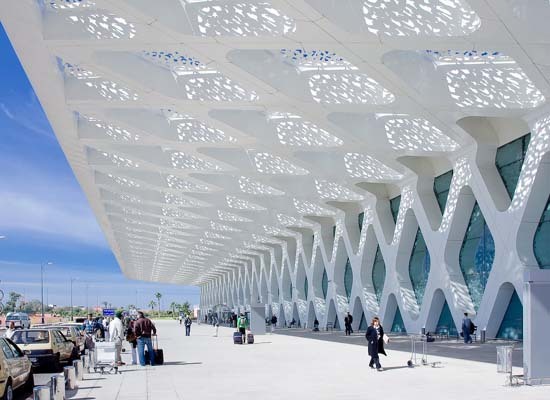 According to "Travel and Leisure, the new Terminal 1 at the airport is" an example of a successful marriage between traditional Islamic architecture and modern architecture. The Marrakech-Menara airport was selected by the U.S. publication, Travel and Leisure Magazine, among the 13 most beautiful airports in the world on a list including those in Denver, Hong Kong and the TWA Terminal JFK New York. Marrakech-Menara has two terminals, Terminal 1 which was completely refurbished in June 2008, is partially powered by solar energy. 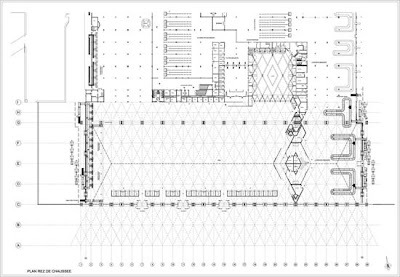 Terminal 2 was opened in 2005 while opening a third is planned for 2012, bringing the total capacity to 8 million passengers per year. The monthly U.S. T & L (Travel and Leisure), a monthly magazine of reference for tourism and travel, has chosen International Airport Marrakech-Menara among the 13 most beautiful airports in the world.The airport in the red city of Marrakech is Morocco's second ranked airport in terms of traffic after the Mohammed V International Airport in Casablanca. 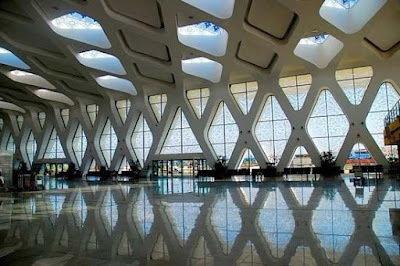 "The airport of Marrakech-Menara is an illustration of a successful marriage between the Islamic architectural art and modern architecture," says the magazine in its January issue, noting that the robustness of its design is tempered by ornaments exquisite arabesque painting on glass.